They Have Water Parks Too?! Yes, yes they do. Believe me, Walt Disney World has thought of everything. Walt Disney World is home to two wonderful water parks: Blizzard Beach and Typhoon Lagoon. How do you get tickets? Is it worth it to visit them? I will answer those questions and more! Both have a lazy river, and it can be quite relaxing (you know, what you should be doing on a vacation!) First, let’s breakdown the two parks. Blizzard Beach opened in 1995, and is located near Animal Kingdom. It’s themed as a Florida Ski resort… that melted. All “attractions” are sorted by coloured slopes. Blizzard Beach is open from March to January, and while it is not open it is refurbished. There are also separate areas for small children and teenagers. 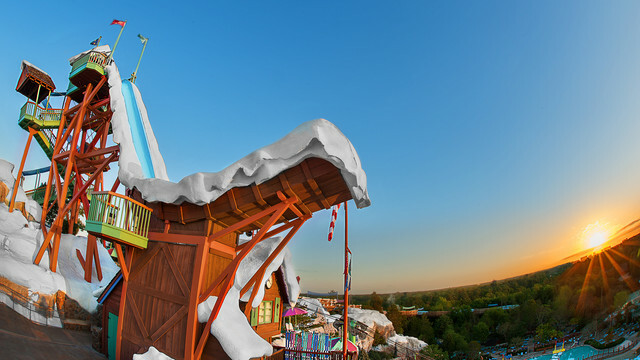 The main attraction of Blizzard Beach is Summit Plummet (pictured above). That slide goes straight down, and it burns a little. You are travelling as fast as Rock n’ Rollercoaster, and much faster than the water! It was something fun to do once, but I don’t know if I’d do it again. Other fun attractions include Teamboat Springs (the longest family raft slide in the United States). There are lots of other fun water slides, and I loved the Toboggan Racers when I was 5! Typhoon Lagoon opened in 1989, and is located near Downtown Disney (they also share a bus route). Typhoon Lagoon was supposedly hit by a Typhoon, leaving the water park with a little less “picture perfect paradise”. Typhoon Lagoon operates from January to October, and undergoes refurbishments while closed. The attractions aren’t divided like at Blizzard Beach, so get a guide map when you enter the park to see which members of your party can go on what attractions. 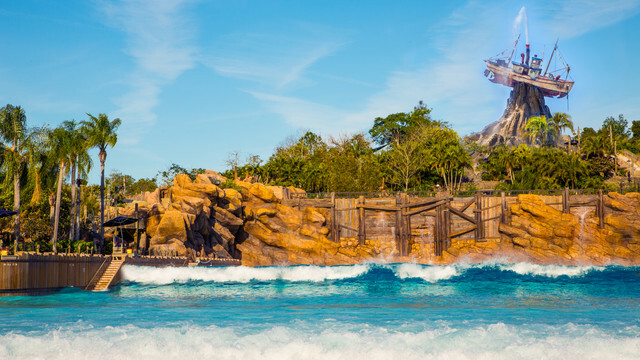 The main attraction of Typhoon Lagoon is the wave pool, pictured below. It’s fun for everyone because you can go in as far as you are comfortable. Again, Typhoon Lagoon also has areas for younger tots and teens, and also has a shark reef. One slide to check out is Crush n’ Gusher, a slide that doesn’t just go down, it goes up too! When purchasing your Walt Disney World tickets, you should consider whether or not you would like to visit the water parks. It is the easiest time to make this decision. If you decide yes, you are going to want to add the Water Parks & More option to your basic Magic Your Way Tickets. Prices can be found on the Walt Disney World website. If you decide when you are in the parks that you want to visit a water park, you can visit the ticket booths at any park and add this option. In my opinion, the answer can be yes and no. In the middle of the summer, it can definitely seem like a good option, especially if your resort pool isn’t doing it for you. If you have visited Walt Disney World before, the answer could also be yes. You’ve seen the parks before, and you want to try something new. So visit the water parks! 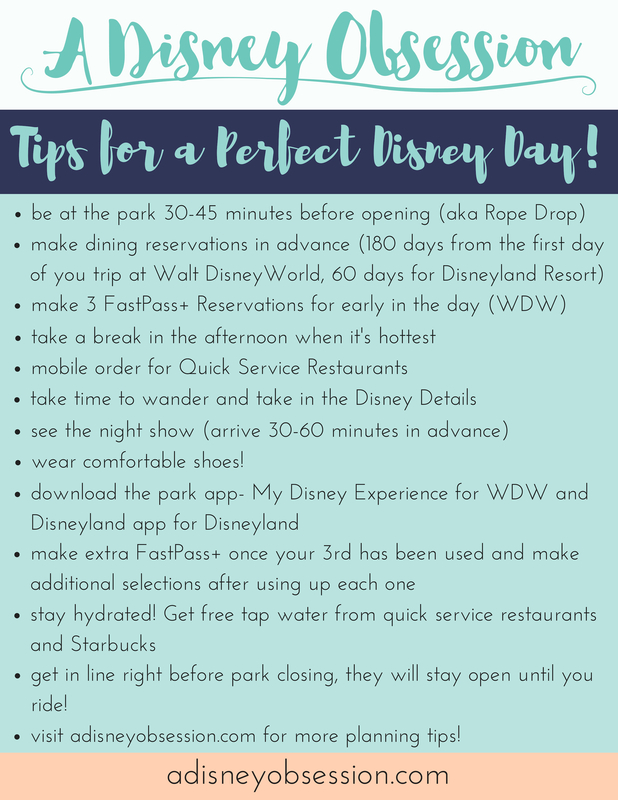 Also, if you are visiting WDW for the first time but are going on a longer trip (longer than 5 days), the water parks could be a good option. It can be a nice break from the other parks, and can be fun just for a few hours. My boyfriend and I have never been to the water parks together, so on a future trip we are definitely going to spend some time there. If you haven’t visited the parks before, I would say no, don’t waste your time visiting the water parks. 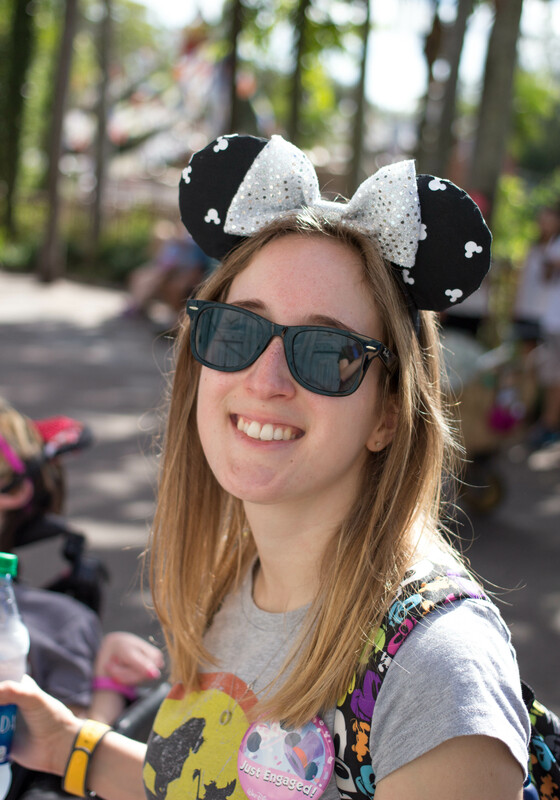 Walt Disney World is a once in a lifetime trip for many people, and with that pressure on your vacation and the small amount of time you have with the number of things there are to see, I wouldn’t suggest visiting water parks­. If you want to have some water fun but don’t want to go to the water parks, take a break during the day and use the pool at your resort! 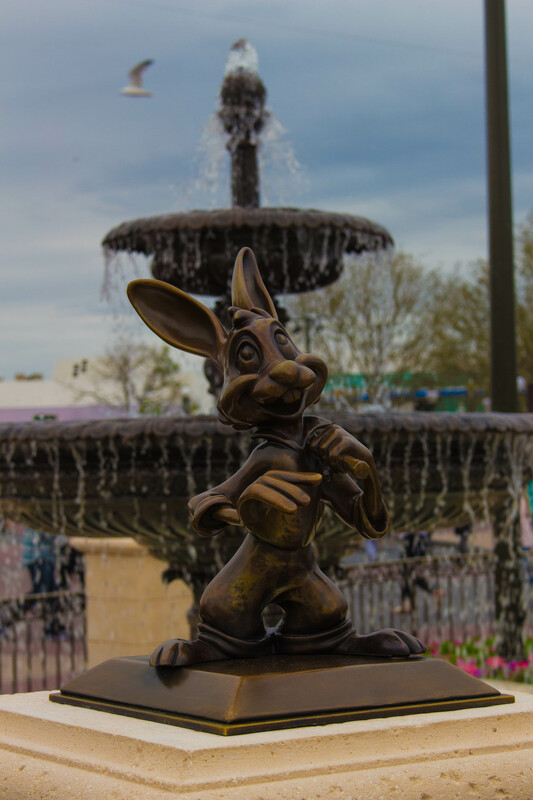 It can always be nice to cool off, change, and head back to the parks refreshed! It’s a completely personal decision, but I hope my insight can help you make the right decision for your party. And a picture of Br’er Rabbit because you always get wet when you visit the Laughing Place! I hope this post has given you an idea of what the water parks have to offer, and when to take advantage of it. Both water parks are very detailed and have great themes, so I hope some day you will have a chance to experience them! Disclaimer: during the creation of this post I realized two things. 1) I have not been to the water parks since 2009 (Blizzard Beach since 2007). 2) When you do go the water parks, you generally don’t bring a camera. Therefore, most of these pictures are not mine, and are from the Walt Disney World Website. Do you like the water parks? Which is your favourite? Do you usually visit the water parks on your vacation? Let me know in the comments!